The purpose of orthodontic treatments is to make the best of your smile. This includes allowing you to bite correctly, eat more comfortably and to be able to care for your teeth and gums more easily. Treatment almost always involves using braces to straighten crooked, crowded or protruding teeth, close gaps and correct one’s bite, so the top and bottom teeth meet perfectly. Invisalign treatment in London consists of a series of nearly invisible, removable aligners that you change every two weeks for the next set of aligners. Each aligner is individually manufactured for your teeth and your teeth only. As you replace each aligner, your teeth will move – little by little, week by week – until they have straightened to the final position prescribed by your dental practitioner. What's more, a virtual 3D treatment plan (ClinCheck®) shows the series of movements your teeth will go through over the course of the treatment. This allows you to see in advance what your teeth are expected to like at the end of the treatment. From the result of the ClinCheck®, your custom-made, clear aligners are produced specifically for you. If you're ready for a smile that transforms your appearance, Invisalign is your answer. Although there are many choices out there, no other treatment works as comfortably as Invisalign. Why settle for traditional aligners when there's now Damon Clear? Virtually invisible, Damon Clear System has many advantages over traditional braces and aligners. 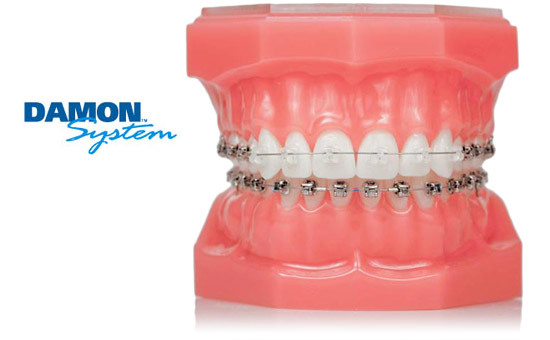 Damon Clear is part of the innovative Damon® System, which combines tieless braces with high technology arch wires that are clinically proven to move teeth fast and comfortably with truly spectacular smile and facial results. 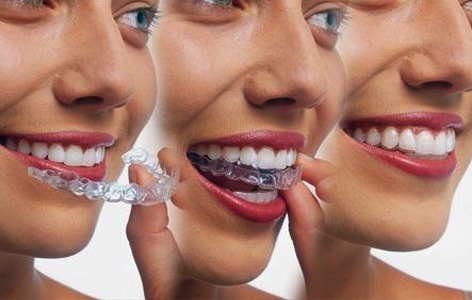 Damon Clear combines the best effects from traditional braces and clear aligners to deliver a discreet treatment experience with results that go beyond straight teeth. 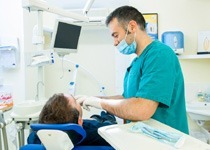 The Damon System is not just a new product it's a whole new way of treating patients. Conventional treatment often requires removal of healthy teeth and/or the use of palatal expanders to make space. This approach is often uncomfortable, takes longer, and can leave a narrower arch and a flat profile. Damon smiles are full, natural 10-tooth smiles achieved with light biologically-sensible forces and are specifically designed to improve the overall facial result of each patient. Certified Damon® System doctors combine the following key components: deliver faster treatment, fewer appointments, greater comfort and consistent high-quality results. » Damon passive self-ligating braces that eliminate the need for elastic or metal "ties". With Damon tie-less braces you can experience treatment without tightening. 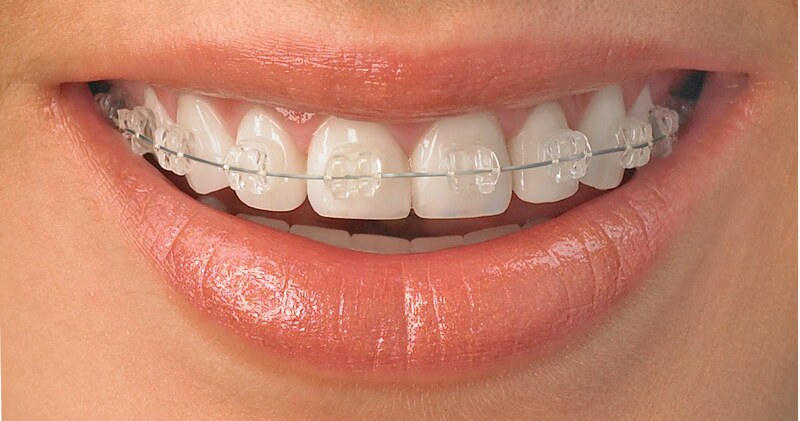 Self-ligating braces reduce the amount of pressure on the teeth because they employ a slide mechanism to hold the arch wire. » Lightweight high-technology shape-memory wires that move teeth faster and require fewer adjustments. » New clinically proven treatment approach that aligns your teeth and enhances your facial aesthetics - usually without extractions or rapid palatal expanders. Clear dental braces have become all the rage for those who might baulk at the idea of sporting a mouth of metal dental braces. Commonly known as ceramic dental braces or tooth-coloured dental braces, porcelain braces are one of several types of orthodontic braces designed to fit adult lifestyles. Not only do porcelain braces help hide the fact you're wearing braces by blending in with your teeth, but also unlike traditional metal braces, porcelain brackets are made from a glass-like composite material that appears translucent, allowing your teeth to shine through. Porcelain dental braces were created with aesthetics in mind. The porcelain brackets themselves are designed to resist stains when cared for properly. Ligatures, or rubber bands that hold the arch wire in place, are often white or clear to compliment the brackets. Even the metal arch wire will appear less noticeable as it blends in with your brackets. To some, it may look like you're just wearing an orthodontic retainer.